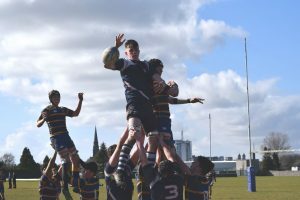 Since the foundation of the school rugby has been the main sport for boys. 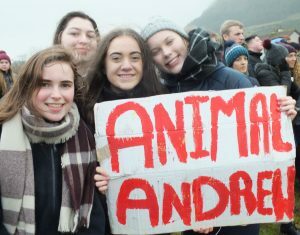 There are several teams in the school ranging from first to sixth year. 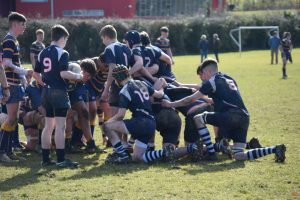 Sligo Grammar School is renowned in Connacht as a strong team historically and this has continued in recent seasons with the school enjoying great success. 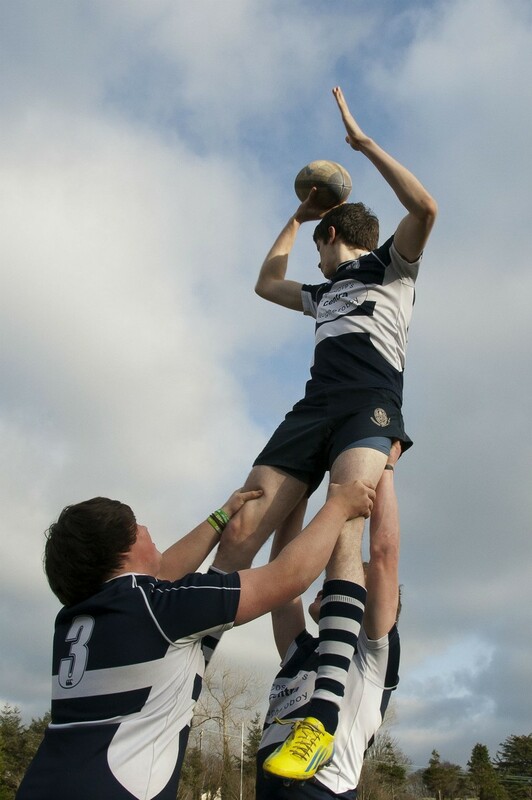 In both 2010 and 2014 the Seniors won the Connacht Schools Cup! We were the winners of the Connacht League cup in 2010, 2013, 2014 and 2016. 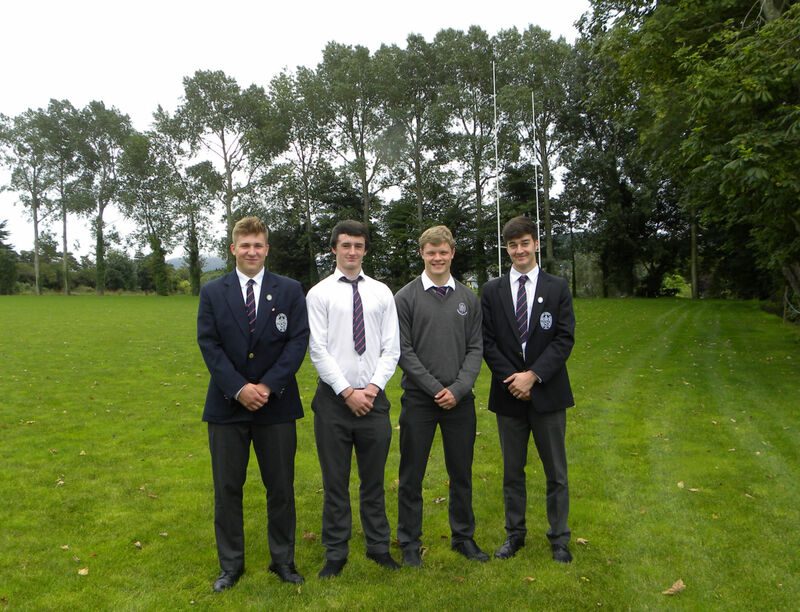 Since 2010 Sligo Grammar School has had six players capped for Ireland at U18 level. These were Aaron Spring, Danny Qualter, Thomas Ferrari, Gary McConnell, Shane Boyle and Matthew Cosgrove. 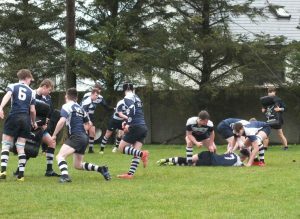 Numerous SGS players have been capped for Connacht at U17, U18 and U19. 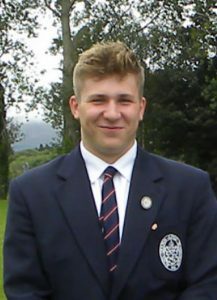 At U20 level, SGS past pupil, Kuba Wojtkovicz was capped for Ireland in 2018. 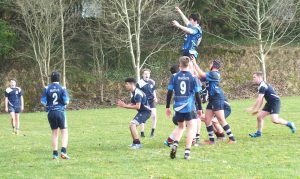 The rugby players have weight training twice a week as well as strength and conditioning sessions and both have proved very popular and successful for our senior squad. 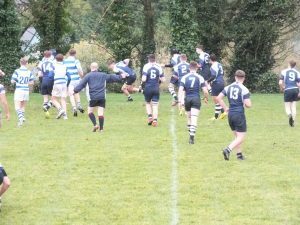 Our rugby pitch was revamped in 2013 and is in great condition despite the rain! With such fantastic new sporting facilities we expect our sports teams to do us proud in the hunt for silver-ware! 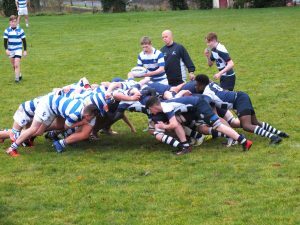 In the first game of the Connacht Schools Junior Cup (Jan. 17th ), the SGS Junior team clocked up a fantastic win against Summerhill College. 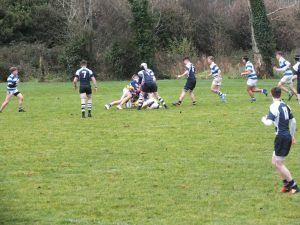 Going in, the team were the underdogs, having been beaten by Summerhill in the Connacht League. 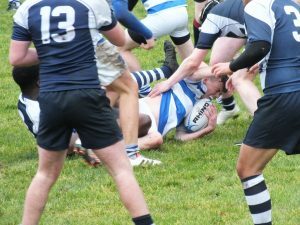 However the team was hungry for a win, and played effective and aggressive rugby. 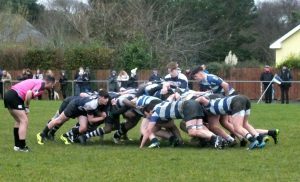 Adam Hunter scored two tries for the Grammar while Seán Gilvarry scored one conversion. In the second half Liam Lee narrowly missed scoring a third try. 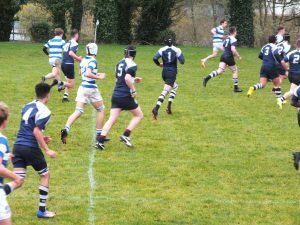 Final Score 12 – 7 to Sligo Grammar School. 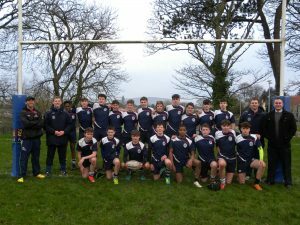 In the U14 A Connacht League Sligo Grammar School have had a remarkable run, remaining unbeaten after five games. 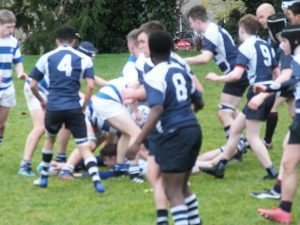 The latest match against The Bish of Galway (Jan 17th) saw SGS win comprehensively, 51 – 0. 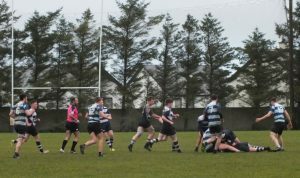 There are two games left in the league, against Coláiste Iognáid (Jes), Galway and St Gerald’s, Castlebar. The success of this team is remarkable since over 50% of the team never played rugby before coming to SGS last August. Great hopes for the future! 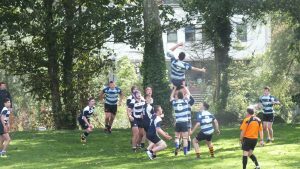 This November the Senior Rugby Team took on the Movember challenge! The Movember Foundation is a global organisation committed to changing the attitude to and awareness of men’s health, from cancer to mental health. During the month of November men all around the world take up the challenge to grow moustaches or beards and raise funds for the charity through donations and sponsorship. 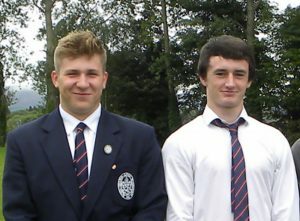 Our rugby boys did their best to grow facefulls of hair for the month. Some had an easier time of it than others, but all did their best and raised a spectacular €1,110 for the charity! 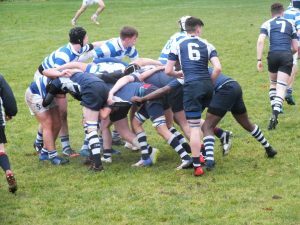 Well done to Kacper Palamarczuk, Matthew Earley and and Hubert Gilvarry who represented Connacht U18 Rugby at the Inter-Provincial tournament held in University of Limerick. The boys were in camp with the rest of the Connacht Team for 10 days during August. 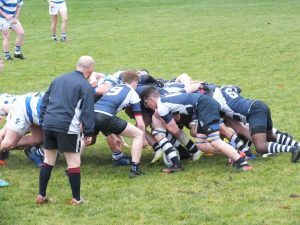 Connacht went on to defeat Munster Leinster and Ulster to win the competition. 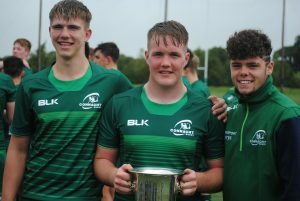 All three will be part of SGS Senior Squad for the upcoming 2018/19 season. 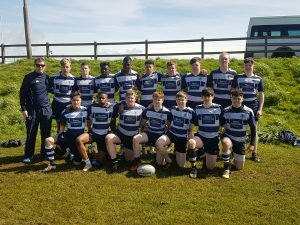 On Thursday 10th May Sligo Grammar School U17 Rugby Sevens team returned home from an All Ireland Schools Sevens Finals as National runners-up. 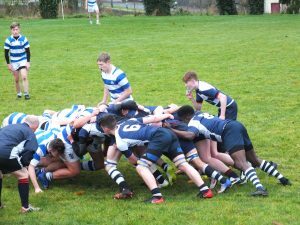 The team travelled to Terenure College RFC, Dublin to represent Connacht along with three other schools from the province and proceeded to beat all comers until they were finally vanquished by St Muirdeachs, Ballina. 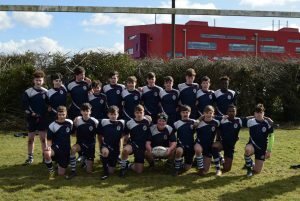 In an exhausting day of matches they beat Drogheda Grammar School, Nenagh CBS, Marist College, Athlone and Ballingcollig Community School. 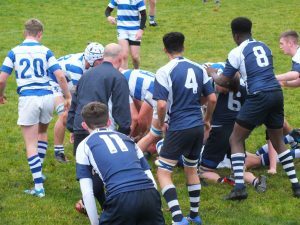 The team played magnificently well but by the time the final match came along sheer exhaustion and a mere 10 minutes break between the final group game and the tournament final played a part in their ultimate defeat. 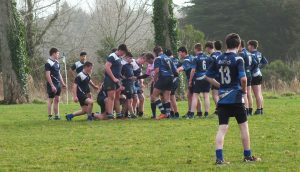 Overall it was a great experience and the tournament was well organised by the IRFU. The players are looking forward to the 2018/19 season. 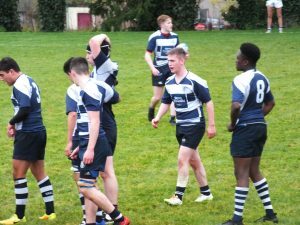 Well done to team captain Andrew Ward and his squad. A big thank-you to Mr Gavin and Mr Staunton for taking them to the competition. 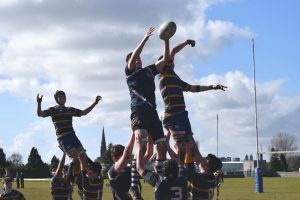 This year the rugby season got off to a good start. 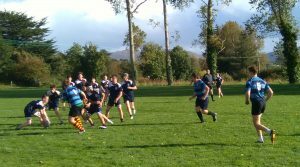 In the Connacht League we lost one match to Garbally College which was enough to knock us out of the competition. The senior team this year is a very young one with 8 of the squad still only 16 years of age. 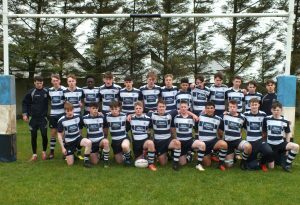 The team has great potential for the future and displayed some of that in their first Connacht Schools Cup match against Summerhill College in Sligo RFC. 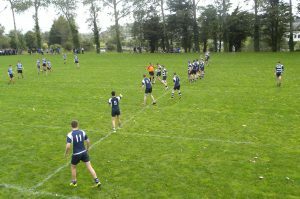 The SGS team won the game 15 – 9. 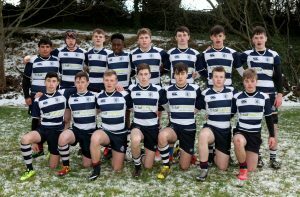 They face Coláiste Iognáid (Jes) in January at home. Jes are the favourites to win the group so our seniors will have a tough fight ahead of them. 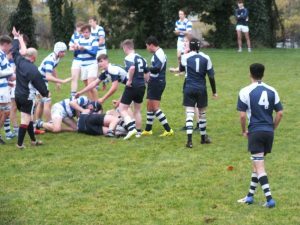 The Junior rugby team has had a dificult year so far. 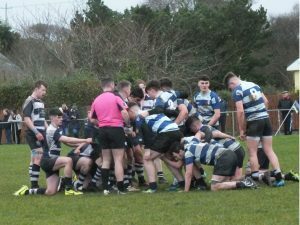 They won one of their League matches and have won their first Cup match agaist Castlebar. 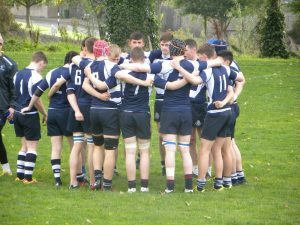 Their next Cup match is against strong favourites, Garbally College in January. 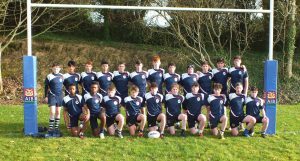 This year’s U14 team is exceptionally enthusiastic with great numbers turning out to training. 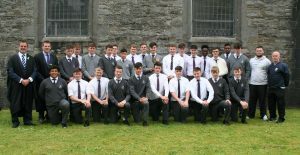 Senior rugby players Graham Kerr and Kuba Wojtkowicz were selected for the Connacht Schools Rugby Team of the Year and were presented with their jerseys in Galway in April. 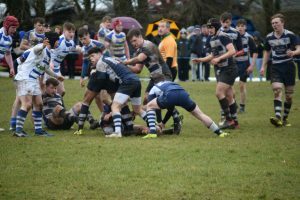 Kuba was also named both the Connacht Provincial Player of the Year and the Ulster Bank All-Ireland Division 2C Player of the Year. He was presented with his award by Joe Schmidt at the Aviva in May. Both boys have worked hard at their game over the last 6 years and richly deserve their awards. Well done! 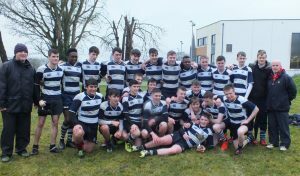 Once again, after an unbeaten run, the Senior Cup Team won the Connacht Schools League Cup. This is the second year running that they won the League Cup. The cup was formally presented to the team at the last assembly of the year as were the individual medals. 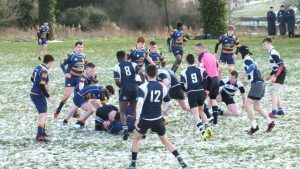 Unfortunately, this year neither of our teams made it to the Connacht Schools Cup finals. 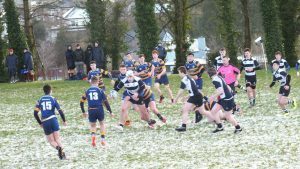 In January the Junior Cup Team started their Connacht Cup campaign against St. Joseph’s College, Galway (Bish) in what was a brilliant performance. They won 33 – 7. 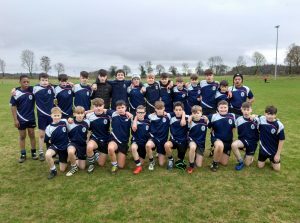 They went on to play Roscommon CBS but lost that match. 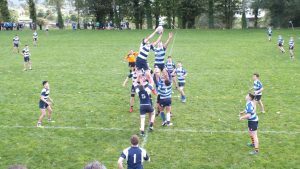 in Ferbane they won by 3 points to Gallen Community School. 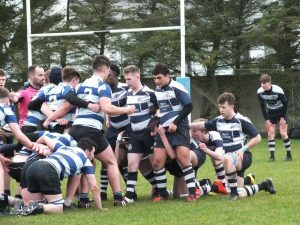 Their campaign came to an end in Galway with a loss against Garbally College. 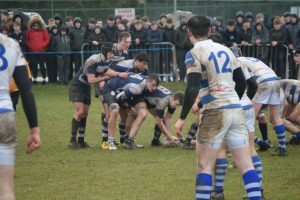 Despite a strong campaign the Senior Cup Team did not qualify for this year’s final. 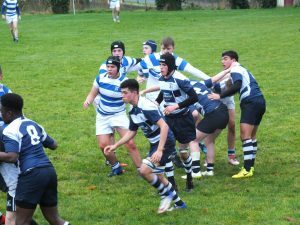 They won their first match against Marist College, Athlone and went on to beat the Bish 33 – 18 in their second match. 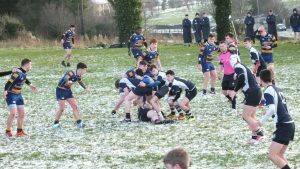 On 25th January they played Summerhill College at home with the whole school out supporting the boys. They fought hard and played a great match but lost the battle. 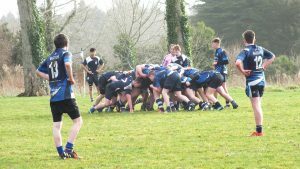 As a result they lost home advantage for the semi-final and had to play Coláiste Iognáid in Galway where they were beaten. 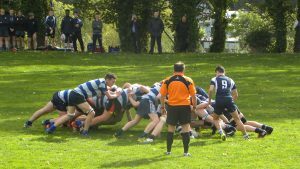 SGS Senior Team Chant from Maire Hynes on Vimeo. 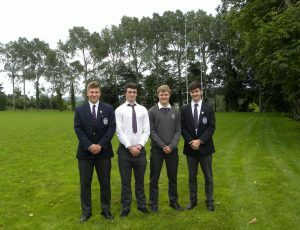 Four of Sligo Grammar School’s Senior rugby team were lucky enough to be chosen to represent Sligo Rugby Club – and their school – at Connacht Level. Kuba Wojtkowicz, Christian Neilsen, Graham Kerr and Niall Gray trained and played with Connacht throughout last summer (2016) and during the year, Unfortunately injury prevented Chriatian from playing from October on but he’s on the mend and looks forward to a summer of Connacht rugby. Well done to the boys and good luck to them all.